Harworth Group, the brownfield regeneration and property investment specialist, has purchased two strategic land sites in Droitwich and Doncaster for £8.2m. Specialising in projects in the North of England and Midlands, the group owns the Waverley site in Rotherham and has its headquarters nearby. The company, one of South Yorkshire's largest publicly listed companies, was created following the complex restructure of UK Coal. Harworth has purchased a privately sourced 131-acre site in Doncaster for £3m plus acquisition costs, with an option agreement for a further 131 neighbouring acres. Adjacent to Junction 5 of the M18, Harworth will leverage its market leading land regeneration skills to promote the site through the planning process, to deliver a regionally significant employment scheme, totalling up to 2.4m sq ft of distribution, manufacturing and engineering space. Harworth has also purchased an 8.7-acre site at Berry Hill Industrial Estate in Droitwich, Worcestershire, from DHL, for £5.2m plus acquisition costs. 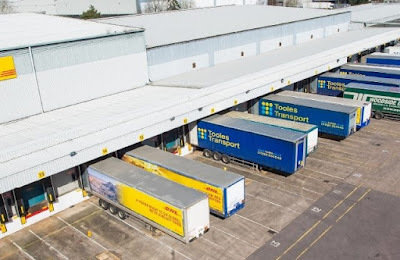 Three miles from Junction 5 of the M5, the site currently comprises a 112,416 sq ft commercial unit, that has immediately been leased back to DHL. The sites have been purchased using the remaining proceeds from the £27.1m equity placing in March 2017 and follow the three strategic land purchases completed in August 2017. Now one of the UK's largest regeneration companies, Harworth forceasts that they will support its ongoing delivery of a double-digit target internal rate of return and significant value appreciation. Owen Michaelson, chief executive officer at Harworth Estates, said: "This is a major milestone for the business which sees the culmination of the successful deployment of all new equity raised in March through the acquisition of two well-located sites that are projected to deliver double-digit returns. Expanding our strategic land bank is a core part of our business strategy of delivering continued value to our shareholders and both purchases provide clear long-term value-add opportunities. In addition, securing a strong covenant at Droitwich adds to our medium-term income stream, as we look to improve the defensive qualities of the portfolio. "The outlook for our principal markets in the North of England and Midlands remains strong, with a scarcity of good quality new commercial space continuing to drive the allocation of new sites and occupier demand for well-connected new space. Both of these purchases directly respond to these requirements as we continue to develop a portfolio of high quality places where people want to live and work." The business model is based on reinvesting capital in acquisitions having created capital growth through planning approvals, remediation and development and generated income through asset management and land sales. The focus has been on "beds and sheds" sectors. In its interim report 2017, the group had assets and developments worth £410.9m.